Hard Rock International has signed a deal to bring a Hard Rock hotel to Glasgow as part of its continued focus on development in Europe. A spokeswoman for Hard Rock International said no further details on the project, which is in the 'infancy stages', were available at this time. 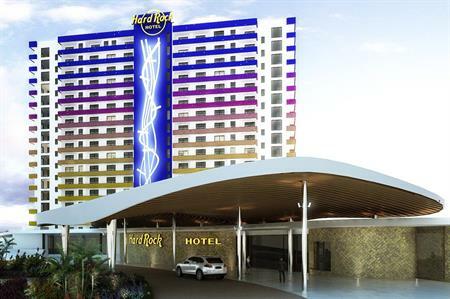 The deal follows the announcement last month of plans for Hard Rock Hotel London, in collaboration with glh Hotels. A conversion of the existing Cumberland Hotel by Hyde Park, which at one time frequently hosted guitarist Jimi Hendrix, the new 900-room property is due for completion in summer 2018. It will be a short walk from the original Hard Rock Cafe. Meanwhile, at an event (see gallery, above) at the Ice Tank venue in London last night (20 July), the brand announced the opening date and details of the launch party for Hard Rock Hotel Tenerife. Due to open in October, the 624-room property is the group’s second project with hotel operators Palladium Hotel Group, which opened the Hard Rock Hotel Ibiza in May 2014, the first Hard Rock Hotel in Europe. The hotel will be split across two towers and will feature a range of event spaces, the largest of which will be able to accommodate 525 delegates for a reception or 500 theatre-style. There will be six restaurants, six bars, three pools, a beach club and access to a saltwater lagoon. Hard Rock Tenerife will be music-themed, with an events programme of concerts and DJ sessions throughout the year.